Craving a scrumptious treat with good for you nutrition? Balance has you covered. Delight your taste buds with delicious Cookie Dough. This bar features sweet, irresistible chocolate chip cookie dough wrapped in a delicious chocolate coating. These delicious bars give your body a good for you boost from the 40-30-30 nutrition principle that gives you the optimal ratio of carbohydrates, protein and dietary fat; plus essential vitamins and minerals. 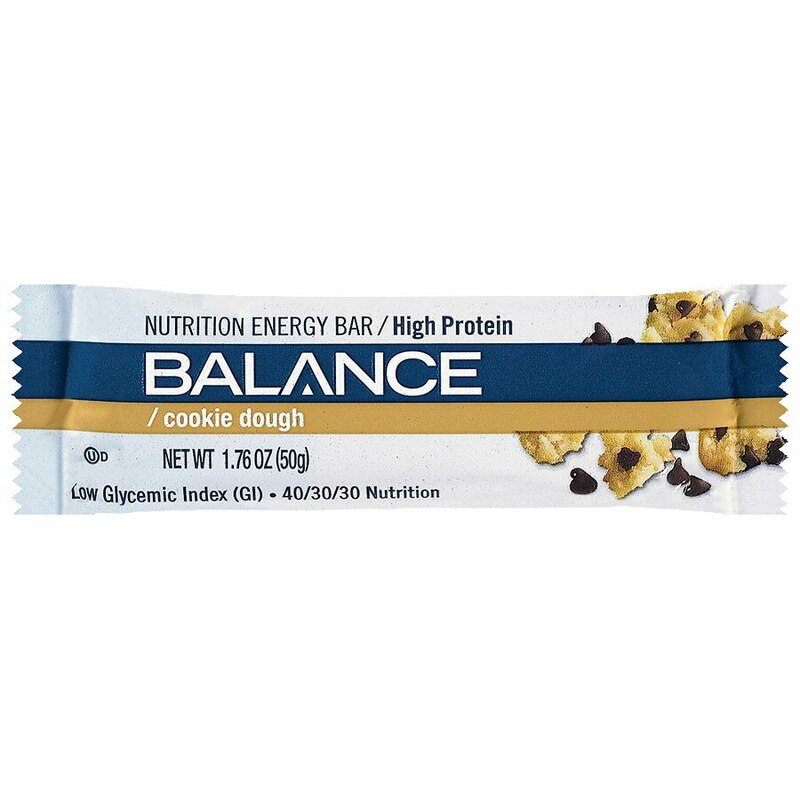 1 bar a day © Balance Bar Co. CONTAINS SOYBEAN, MILK, WHEAT. PRODUCED ON EQUIPMENT THAT ALSO PROCESSES PEANUTS, TREE NUTS, EGG, SESAME..